The state of Oregon has a rich and varied history. 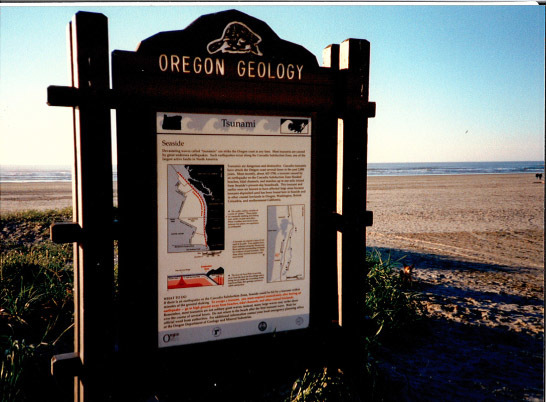 Do you know of a roadside spot with a fascinating geologic or human history? Performed some act of state or national significance. Acts of such historic importance as to have changed the course of state or national history. That are authoritatively identified with non-Indian exploration and settlement. Exemplary examples of natural events. You will need to fill out an application for your marker. The pre-application is found below, in the Technical Resources section. We encourage marker nomination, so feel free to complete application and return it to us at any time throughout the year. Nomination Form: Download the Oregon Historical Marker Application in PDF. Printed and completed applications should be mailed to: TIC Historical Marker Program, Suite 150, 1500 Liberty St SE, Salem, OR 97302. You may also email a filled-in form (requires Adobe Pro software on your computer) back to the office. If you have questions, you can always find a real live person at our toll free number, from 7:00 a.m. to noon and 1:00 p.m. to 4:00 p.m., Monday through Friday. 1-800-574-9397.